Migraine Monologues: Smile NICEly - Lights! Camera! Action! New Guidelines lead to media frenzy. Smile NICEly - Lights! Camera! Action! New Guidelines lead to media frenzy. "Try not to make too much noise, Victoria, we're live on air." Oh my god, I'm breathing too loudly, I'm breathing too loudly. I'm sitting right next to the new Director General of the BBC, who is currently being grilled by John Humphrys, and I think I need to sneeze. Suddenly it's Thought For The Day (by the way Dr Giles Fraser I'd like my favourite Biro back) and then Jim Naughtie is saying something about migraine sufferer Victoria Saxton... I realise that's me. You can hear my rather brief appearance on The Today Programme on BBC Radio 4 here (1hr 53.) Can I just say I'm most proud of the fact that I didn't swear, nor did I burst into song at any point. A grand BBC Mercedes swept me home but the second I stepped foot indoors, my phone began to ring with other media enquiries and didn't stop all day. I did two radio interviews and two TV interviews, including the below, and I have more lined up. I've realised TV is not the media for me, I'm far too distracted by all the bright lights and cameras. I found it near impossible not to look directly into the camera - and once again suppress that urge to burst into song. I can't sing by the way so I don't know where this urge comes from. My migraine buddy Fran had a similar day, making star appearances on BBC News and Channel 5 News. We're thinking of starting an agency called Migraine Media. Any takers? 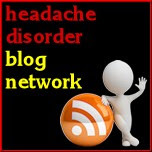 Why this sudden interest in Headache and Migraine sufferers? Well yesterday NICE released their new Headache Diagnosis & Management Guidelines and the media decided to latch onto the fact they mention Medication Overuse Headache (MOH). This is what Fran and I were asked to talk about, we've both suffered with it and had to come off all pain medication and Triptans (acute migraine medication.) Taking too much of either can cause MOH and aggravate exciting migraine. I told each Producer I talked to that there are an estimated 190,000 migraine attacks each day in the UK, that absenteeism from migraine costs about £2.25 billion, so these guidelines are a massive deal for many other reasons. They were stunned and fascinated but it was clear that the only angle the media wanted to focus on was this issue of MOH. I also slightly ruined their stories with the fact that I was given nerve blocks and a tapered dose of steroids to get me through the withdrawal periods, rather than going completely cold turkey. MOH is of huge importance, so I'm very glad it got so much attention yesterday, I'd just like the rest of the guidelines and their impact to be debated too. Next week I'll talk about the NICE Guidelines in more detail and what this will actually mean for migraine sufferers. I know a few people are worried that all their triptans and pain killers will be taken away - but if you read the guidelines I don't believe this will actually be the case. It would, however, be interesting to get an expert opinion on the guidelines to compare to the BASH guidelines. BBC Radio London - Drive Time Interview (minute 16.00) Followed by an interesting segment from the Director of Bupa Healthcare. If you think you may be suffering from MOH, persistent headaches or migraines get thee to the National Migraine Centre! Getting Rich & Skinny Off Topamax! A doctor in an urgent care in phoenix said that too much reliance to medicine is not good, it is better to use natural ways in curing any sickness first, then resort to medicines if those thing don't work. this particular put up extraordinary. Wonderful job! 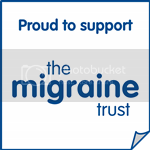 Migraine Awareness Week!! It's here! !